A light flare-up can impact only a small area of the body, such as with a bit of arthritis, or patches of skin psoriasis or rosacea. But other flare-ups can be quite serious and even life-threatening. There are up to 140 diseases that are believed to have an autoimmune basis, and approximately 50 million Americans are currently experiencing challenges related to inflammation. 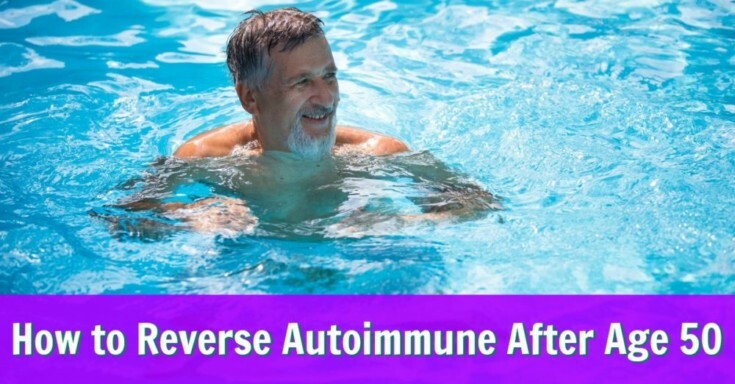 Strictly speaking, there is no cure for diseases of autoimmunity – but, in many cases, symptoms can be dramatically reduced, particularly when an anti-inflammatory lifestyle is implemented. It’s important that those with autoimmune disease work closely with their own medical doctor. People newly diagnosed with one of the autoimmunity diseases after the age of 50 experience unique challenges – compared to those who are diagnosed as young adults. 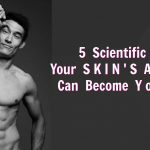 Namely, they face the seemingly daunting task of changing daily eating habits that have been firmly entrenched for decades. The bad news is, changing habits can be difficult in the beginning. The good news is, the longer you stick with your new lifestyle habits, the easier it becomes to follow them. an autoimmune diagnosis, therefore, can serve as a potent reality-check – ending the cycle of denial. After your diagnosis, your medical might encourage you to follow an anti-inflammatory lifestyle – a way of daily living that seeks to minimize exposure to irritants, particularly in the food you eat, with the intention of reducing an inflammatory response within your body. The big idea here is to reduce the burden on your immune system so that it’s no longer overtaxed. The theory is that, by giving it fewer irritants to process, your body can finally get its bearings and focus once again on calmly healing only the unhealthy cells. This is yet another benefit to an autoimmune diagnosis. Since inflammation is the number one cause of accelerated aging, you will hopefully not only be lessening your symptoms by eating an anti-inflammatory diet – but be improving your overall cellular health as well. The longevity habits that will help you to enjoy excellent health in the next 50 years of your life are, at a glance, quite simple. 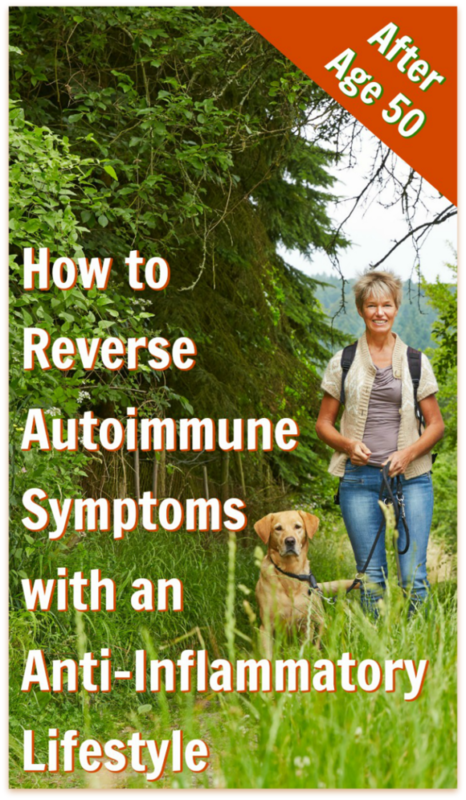 If you are approaching or have surpassed age 50 (or know of someone who is) and are experiencing autoimmune challenges, here are nine action steps that might prove helpful to you as you seek to better your own health. Together with your medical doctor, identify what new habits will be best to follow post-diagnosis. Acknowledge that you are a human being and that adopting new habits will sometimes feel unduly challenging, especially in the beginning. Recognize that, though your intentions are good, you will sometimes be tempted to fall back into your old habits (possibly the ones that helped to activate the autoimmune gene in the first place). Resist the temptation to shame yourself – be self-loving and patient; if you fall off the horse, simply dust yourself off and climb back on. Remember that if you want to have a fantastic next-50 years, you probably can’t have high energy, fitness, and excellent health if you still have the daily habits that you had when you were 20. Know that change is hard for everyone; your habits have a lot of years and momentum behind them and research has proven that when you prepare adequately, your new regimen will “stick” (research also proves that when you don’t prepare adequately, your new regimen will not stick). 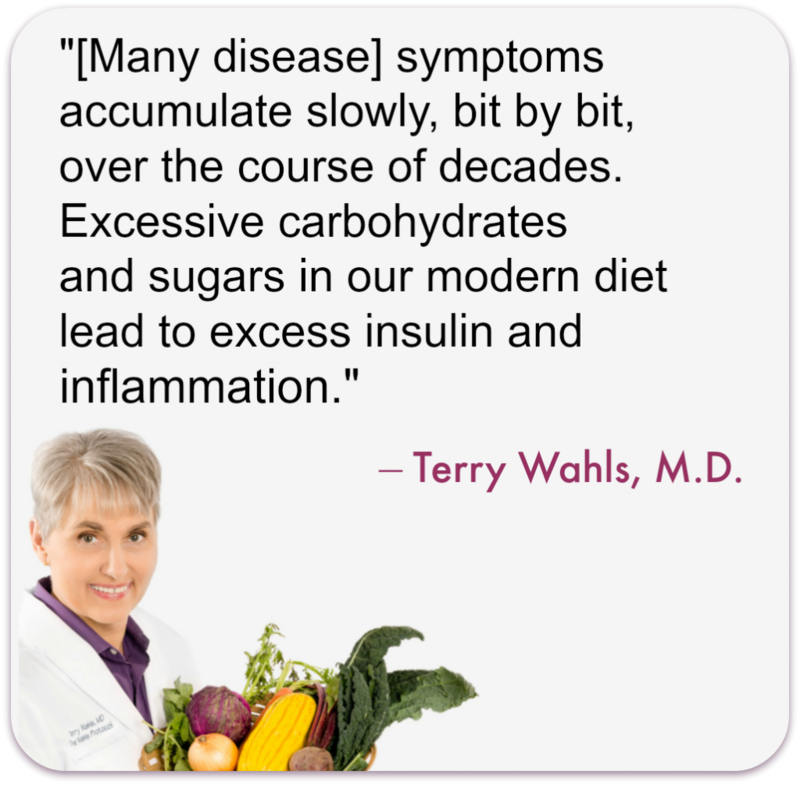 Ask your doctor to recommend a book about anti-inflammatory eating (personally, among the books I own on the topic, I have found The Wahls Protocol by Terry Wahls, MD to be astoundingly beneficial). nutrition continues to be the big factor that determines your health; surrender your cultural assumptions about what food is good and what food is bad, and starting listening closely to what your own body tells you instead. Improve your daily diet! Keep your stress levels low. By putting continued effort into your personal growth, you will become increasingly adept at finding even healthier ways to metabolize the daily anxiety of modern life; you will become kinder, more loving, and a better listener after age 50. Move, move, move. You must not be habitually sedentary; you don’t have to be a triathlete or run marathons; you can condition your body in a sensible way that includes flexibility, cardiovascular and strength training. A beginning yoga DVD, a long walk, and some gardening or housework are all effective forms of exercise for people over the age of 50. 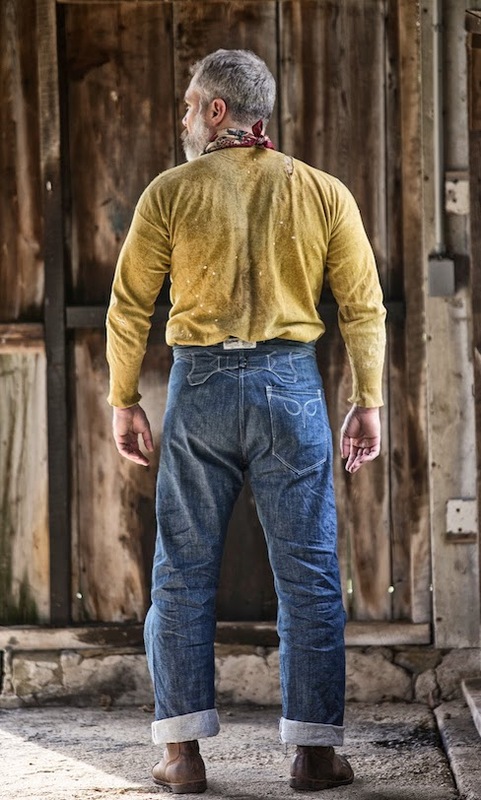 Think back to that particular time in your life when you were in the best shape. Now, if you really relax and remember that time vividly, you can also remember how you felt then: that visceral, vibrant feeling of being lean, fit and flexible. There’s nothing like that feeling, and once you’ve been that fit (at any time in your life, even if it only lasted a few months), it lives somewhere within your memory, where you can always access it. And here’s the great news: once you’ve achieved that level of fitness and health at any time in your life previously, you know that you achieved it. If you did it once, you can do it again. You can use that knowledge to fill yourself with hope and motivation, and excitement. how would your body feel? And that’s the funny thing: you don’t really know how fantastic that will feel, because you haven’t realized it yet. There’s not even a memory you can access… yet. I’m inviting you to take a few moments to close your eyes, slow-and-deepen your breathing, and picture in your mind’s eye, what being healthier (than you’ve been before), is going to feel like. Really. Try to imagine what it will feel like to have your entire body hum with energy and strength and hope and extreme fitness. Life is very interesting; it seems whatever we habitually give our time, energy, and focus to – we get more of. And visualization is a powerful tool that can activate our unconscious minds to work on our behalf. So consider starting there. After age 50, it’s important to rediscover and reconnect with what you feel most passionately about. Passions are what turn life from black-and-white into color. In order to be strong and live boldly, you need to figure out what you most enjoy. Life after 50 is not a journey for the weak and absent-minded; it’s a hero’s journey and requires a zest for adventure, a sharp mind, and a fit body. I’m 53 now, but I still vividly remember when I turned 40. I began to notice changes in my body and energy level. One day, I’d wake up and feel 20 years old, the next day I’d wake up and feel 60. I couldn’t figure it out. Initially, I thought it was stress. Looking back, I realize now I was probably having an autoimmune flare-up. That was the first time in my life that I felt “old.” It occurred to me then that sometimes – when I was at Starbucks or the gym – I was the oldest person in the room. To be honest, I was kind of freaked out about it. Fortunately, I soon came to see aging as a sacred, honorable life event and a positive thing. I only wished that, back then, there was more information online about autoimmune, longevity and extending the human health-span. I had a difficult time finding inspiring information (which eventually became my incentive for creating this site). If you are in midlife and have been newly diagnosed with autoimmune, then you, too, might be looking around for support and information. So many of us postpone processing the impact of what really is a sacred life event – aging – and avoid making any conscious decisions or plans for what we want the next 50 years of our lives to look like (and specifically how we are going to make that happen). This is why – strange as it sounds – a diagnosis of autoimmune after age 50 can be seen as a positive thing. It’s an opportunity to look at life more consciously. If you’ve been diagnosed, your doctor may advise you to stock your kitchen with anti-inflammatory ingredients. This will necessitate you having a discussion with your spouse, friends, or roommates – setting some healthy boundaries and asking for their emotional support. Explain to them that the days of sharing in the office break-room birthday cake or Friday night pizza are probably over for you, however, you encourage them to continue to have fun – only to understand that your new lifestyle diet prohibits irritating foods. Also, the people with whom you live need to understand that quality sleep is now a priority. You may have to go to bed a bit earlier or sleep a bit longer from now on, and you can request that they accommodate you in this new habit. When people hear the word “inflammation” they did to think of that process of fluid rushing into a body part: “my ankle is inflamed.” But in the context of autoimmune, it might be more accurate to think of inflammation as your immune system’s overreaction to the stresses of daily life. For some patients, a doctor may prescribe pharmaceuticals. The purpose of some of these medications is to suppress the immune system so the frequency of flare-ups is reduced. Since these medications can bring with them other, newer challenges, taking them in conjunction with an anti-inflammatory diet might help reduce the required dosage of medication. My personal passion is synthesizing information and making it as simple for people to implement into their daily lives as possible. As a very busy person myself, I try only to propose practical, real-world solutions that will fit into real people’s modern day, stretched-to-the-limit schedules. You’ll discover that a big part of the organizing process is the systematic creation of more free time. So if you’re concerned that self-care interventions will leave you with even less free time than you have now, it may actually leave you with more. Ultimately, it’s not that I’m trying to help people add more years to their life, it’s that I’m hoping to help others add more life to their years. This is because: when you focus on quality first, the quantity usually follows. Said differently, for any anti-inflammatory strategy to be successful, it must include a recipe for joy. Because, when you are living in joy, health can often be a natural result. Autoimmune is on the rise, true, but it’s not the only challenge being faced by the over-50 demographic. The top three killers in the US are heart disease, cancer, and stroke. Improved lifestyle habits are an effective way to prevent these killers from visiting prematurely. In truth, it’s much easier (and much less expensive) to take steps now to improve your health, then it is to wait until you – or someone you love – is surprised by a significant health challenge. Remember, self-improvement is not always as complicated as we make it out to be. For example, it turns out that a college education is not essential to a long life, but daily flossing is! I invite you to use this site as a sort of “cheat sheet” of longevity resources that you can access quickly. The anti-Inflammatory lifestyle requires a holistic, yin/yang approach. Information alone isn’t going to help you adopt healthier habits – you need weekly inspiration, too. Think about the assumptions in that reply. Think about what that reveals about the person’s belief system in health and aging. Ultimately, the reason people make such comments is that, unconsciously, they don’t want to think about old age – let alone dying – and are trying to evade thinking about it by issuing a worldly quip. But not thinking about successful aging is a poor strategy. It’s important that you dare to dream about what life can be. This way you stand the best chance of having joyful years in later-life that are healthy and rich with meaning. We live in an era of technology and information. Anybody can Google anything, anytime. So with all of this information at our fingertips, why aren’t we all Olympic-caliber athletes and billionaires who live past age 100? It’s certainly possible to do all of these things. So why don’t we? If we want to discover how to create extreme fitness, prosperity, and longevity, then all we have to do is search online for these terms – experts and research studies will show us what health protocols need to be done …right? Ah, but the latest information is not all we need. We also need a way of making all of that new information stick. Once we know what positive improvements we want to make in our lives, we must implement those changes until they become new, lasting habits. Extensive research has shown us that permanent change occurs in five stages. If you want to live a fascinating after age 50 then you must learn how to skillfully negotiate Stage 3 – preparation – the most crucial and overlooked stage of permanent change. You can harness the mythic energy of your own life and then use that energy to become leaner, stronger and more passionate. 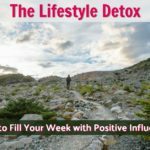 My weekly email updates are crafted specifically to help you lubricate your own creative process so that you can easily construct a strategy for becoming healthier each year – unique to your needs – and then implement that strategy and make it stick. Our current culture does not always support our efforts at good health. So there’s a point where you have to decide to rise above the times in which you live and forge your own self-care path. Regular doses of inspiration can help us break the bad patterns and move up to the next level. I strongly encourage you to consult with your medical doctor before undertaking any changes in how you eat or move. A holistic approach to wellness might improve brain health and help ensure that important information is retained by your mind – and then converted into new good habits that will help you to live a longer, more robust life after 50.